For Merleau-Ponty, the question of phenomenological method was always connected to the problem of expression, in that the results of successful expression can for him amount to a catching of the world “in its nascent state” (“à l’état naissant”). In other words, elucidating the phenomena as they show themselves demands a certain amount of creativity to come through. But even though creative expression is without doubt of chief importance for Merleau-Ponty, it is not so easy to determine what exactly it consists in. Minimally, it is more demanding than simply repeating an already formulated expression. On the other hand, it cannot start from nothing – we must begin within an existing tradition, with its acquired expressions, that we somehow take up and transform. A recurrent image of creative expression comes from Malraux, who claimed that it is a “coherent deformation” of what is given in the world. In this paper, I will use Saussure’s principle of analogy to throw light upon the notion of coherent deformation and of creativity. Although Merleau-Ponty merely mentions this principle in passing, I argue that it can clarify the productivity of language that he saw as crucial also for Saussure’s linguistics. Foultier, A.P. (2018). Creativity in language and expression: Merleau-Ponty and Saussure's principle of analogy. Acta Structuralica 2, pp. 47-68. 1A core issue in Merleau-Ponty’s philosophy is the understanding of creativity: in language, our capacity not only to communicate facts, describe our intentions, ask for advice, and so on, with the help of more or less fixed formulas, but also to transcend these formulas in new and unprecedented ways, but still be understood – or in the most successful cases, make things be understood better. In expression more generally, as in poetry, painting or music, the possibility of free invention that still makes sense, of composing original works rather than simply repeating standard forms of writing or painting, with the aim to make us see the world again, in a different, more illuminating way, sometimes to discover ourselves and our neighbours, our hidden motivations, our most forbidden thoughts. 2For Merleau-Ponty, the problem of expression was always connected to the question of phenomenological method, in that the results of successful expression can precisely, for him, amount to a catching of the world “in the state of its appearance”, “in its nascent state” (“à l’état naissant”; see, e.g., Merleau-Ponty 1945, xvi, 48, 69, 140/2012, lxxxv, 40, 57, 122).1 In other words, elucidating the phenomena as they show themselves demands a certain amount of creativity to come through. Due to our tendency to focus only on the object of our immediate interest, and take the manner that the things present themselves for granted, we do not notice all the shifts of luminosity and shades, the play of shadows and light, or the interaction between concealment and revelation – all this in its turn connected with the movements of our body – that make us see a landscape, a bowl of apples, or even the text in a book. This interplay is connected with our aims, but also, less obviously in the first two examples, to our presuppositions about what we see and experience. When confronted with a text, the difference between looking at a body of words written in a language we master and one in a language we do not read is blatant – not to mention if it is written in another writing script: letters of Arabic or Chinese characters will appear to us like beautiful patterns if we do not know them. A text composed in a language we know has a certain transparency that makes it hard for us merely to see the signs as marks or scrawls. In the case of spoken language, it can sound odd, pretty or ugly to non-speakers, and be treated in a similar way as noise, while speech in a familiar language intrudes upon our mind and takes great effort to fend off. 3However, also the contemplation of a landscape is determined by our pre­vious knowledge and experience, as well as by our expectations about what the contemplating of a landscape implies. If we grew up in a culture where trees and stones are considered as animate things, our perception will certainly not be the same as that of the farmer used to see nature as land to cultivate, or the urban jogger for whom the forest may first of all be an area suitable for keeping in shape. For this reason, even perception has a tradition in Merleau-Ponty’s view; it is not a simple reproduction in our brain of information coming from our senses, which would in its essential traits remain basically the same throughout the ages. Cultural settings, philoso­phical and scientific theories, painting techniques and so on influence our perceptual experience. In fact, the distinction Merleau-Ponty makes through­out his work between (the terminology varies) an acquired form of language or expression – constituted or secondary expression, “spoken speech” (parole parlée) – and a productive form – authentic, constituting or primary expression, “speaking speech” (parole parlante) – is applied also to perception (Merleau-Ponty 1945, 53–54/2012, 45–46, cf. Ibid., 275/247). This tightens the tie between phenomenology and art, so that the works of painters like Carava­ggio, Paul Cézanne or Paul Klee, sculptors like Auguste Rodin or Germaine Richier, will be discovered as philosophies with similar aims: to learn again to perceive the world in the state of its appearance, by means of expression. 4Now, if creative expression is without doubt of chief importance for Merleau-Ponty, it is not so easy to determine what exactly it consists in. Minimally, it is more demanding than simply repeating an already for­mulated expression. But it cannot start from nothing either – we must begin within an existing tradition, with its acquired expressions, that we somehow take up and transform. Merleau-Ponty states that authentic, creative expression captures “nature in its origin” (Merleau-Ponty 1966, 23/1993, 64),2 “matter as it takes on form” (1966, 23/1993, 63), whereas secondary expression more or less directly points to its signification. In secondary ex­pression, acquired formulas – techniques of painting, readymade phrasings, are repeated, while primary, creative expression transforms these in significant ways, thereby instituting new meaning. This occurs on the basis of a meaning that is already given, on the one hand, as “scattered”, fleeting in experience – delivering “the meaning captive in the thing” (Merleau-Ponty 1960, 56/ 1964c, 44) – and, on the other, as constituted by earlier acts of expression. 5Obviously, the creative function of expression is something more and different than putting new complex expressions together from simpler ones, according to given syntactical rules.3 Several times, Merleau-Ponty states that we can know only after the fact whether creative expression has succeeded: it must be understood by others.4 For the most part, he uses metaphors to describe what is going on: the given expressions are transformed so that they can “secrete a new signification” (Merleau-Ponty 1969, 20/1973, 13), in a manner that paradoxically resembles the “first act” in humanity of speech or expression.5 In spoken speech, “already acquired expressions, there is a direct meaning which corresponds point for point to instituted turns of phrase, forms, and words” (Merleau-Ponty 1960, 58/1993, 84); by contrast, in spea­king speech, “the initial operation that establishes a new signification in a language machine built with old signs” (Merleau-Ponty 1968a, 22/1970, 12), meaning is called “lateral or oblique”, “it bursts out [fuse] between the words – it is another way of shaking the linguistic or narrative apparatus in order to tear a new sound from it” (Merleau-Ponty 1960, 58/1964c, 46). A recurrent image is a quote from Malraux, to the effect that expression is a “coherent deformation” of what is given in the world (e.g., Merleau-Ponty 1960, 68, 97, 101/1964c, 54, 78, 81; 1969, 85–86/1973, 60). In his last published text, Eye and Mind,6 Merleau-Ponty declares that the painter – or writer – “is born among things by a sort of concentration or coming-to-itself of the visible” (Merleau-Ponty 1964a, 69/1993, 141), when “his vision becomes gesture” (1964a, 60/1993, 139). But what, more precisely, is going on here, behind the metaphors? 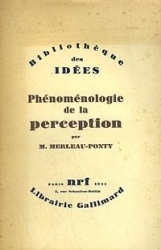 6At an early point, Merleau-Ponty saw the fundamental role of the linguistic function in the relations between the lived body and its world – and hence, the importance of getting to the bottom of the problem of language in order to understand existence – but it was not until after the publication of Phenomenology of Perception in 1945 that he directly addressed the science of linguistics, and in particular, the linguistics of Ferdinand de Saussure. Initially, Saussurean linguistics seems at variance with Merleau-Ponty’s notion of incarnated meaning, and his emphasis on understanding language on the basis of the experience of the body (Merleau-Ponty 1945, 187/2012, 163) and speech as a gesture (e.g., Merleau-Ponty 1945, 214/ 2012, 189–190; 1969, 194/1973, 139). Also at the time when he deepens his focus on Saussure, Merleau-Ponty draws attention to the similarities be­tween verbal language and other forms of expression: “a novel expresses tacitly like a painting” (Merleau-Ponty 1960, 95/1964c, 95), he writes in his most well-known essay on the matter, “Indirect Language and the Voices of Silence”,7 and he lectures extensively on the comparison between literature and painting, serving to “elaborate a theory of language” (Merleau-Ponty 2013, 87). It is true that the comparison between verbal language and “tacit” or “silent” forms of expression serves to dissipate the “ghost of pure language” (Merleau-Ponty 1969, 7/1973, 3): the myth that language (or at least a uni­versal language of which our own would be a more or less inexact copy), in a perfectly transparent way, corresponds to things in themselves, and to our thoughts about them, “without mystery” (Merleau-Ponty 1969, 12/1973, 6). The comparison is, in other words, a thought experiment, that might in the end show the parallel to be “impossible” (Merleau-Ponty 1960, 58–59/ 1964c, 46–47). 7Saussure, on his side, sometimes mentions the idea of semiology as a future general science of which linguistics would be merely a part, but nothing indicates that he considers painting, for example, as a possible object of such a science, and even less one that would throw light upon a theory of language.8 Nevertheless, in juxtaposing Merleau-Ponty’s philosophy of ex­pression with Saussure’s ideas on analogical formation, we can explore certain perplexing features of creativity, that in Merleau-Ponty’s thought remain too much veiled in mystery. 8As we know, Saussure distinguished, first, between the language system (la langue), a social phenomenon, and speech (la parole), the individual use of the former.9 Second, he divided the study of the language system (langue) into diachronic and synchronic linguistics. 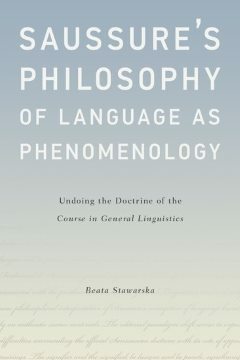 Whereas linguistics at his time studied language almost exclusively from a historical perspective, and thus diachronically (Normand 2004, 92), Saussure insisted that only a clear distinction between the temporal and the synchronic aspects of the language system, la langue, could clarify how language works from the point of view of its speakers. One basic principle of linguistics is that the linguistic sign is arbitrary: there is no internal connection between a slice of sound and a slice of thought, but the amorphous mass of sound is connected to the equally amorphous mass of thought only through the mutual delimitations established by the community (Saussure 1972, 155 f.). 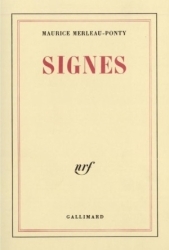 This idea of the sign as a union of an acoustic image or signifier (signifiant) and a concept or signified (signifié), determined only negatively, in their difference with all the other signifiers and signifieds in the linguistic system,10 was to become a core element of the structuralist movement in the 1950s and -60s. 10Moreover, with the notion of parole, and its ambivalent status in Saussurean linguistics – a positive, material realization of the possibilities inherent in the “real” object of linguistics, the language-system (langue), and at the same time a bearer of meaning, defined only differentially, by the entities constituting the system – Merleau-Ponty discovered the idea of a lateral, “oblique” meaning, which, in his view, is fundamental not only to verbal lan­guage in its original, living functioning, but also to artistic forms of expres­sion, and, of course, to this expressive unity that constitutes the living body. 11Now, Merleau-Ponty’s characterisation of Saussurean linguistics as a “phenomenology of speech”, and his insistence on the productivity of language and its ever-changing character, have been controversial among scholars, and it has been claimed that he distorted Saussure’s ideas to fit with his own.13 The conviction that Saussure’s linguistics (and, by the same token, structuralism) was inadequate to deal with the innovative character of language, also in the most basic sense of generating an indefinite number of sentences from a finite number of expressions, was famously taken up by Paul Ricœur as a criticism of Merleau-Ponty’s philosophy of language.14 The reason for this inadequacy is the closure that, according to Ricœur, must be attributed to the language system. Linguistics can in his view only become an objective science, free from psychologism, if the system is clearly separated from its performance in speech, as well as from history (Ricœur 1969, 84/ 1974, 83–84). In this procedure, an inventory of the system’s basic elements, together with the rules for their combination, can be established, and the diacritical character of the signs be properly accounted for. 12The notion that linguistic meaning is determined, on the one hand, by the contrast (opposition) of the sign with all the other signs of the system, on the other as an internal difference between signifying and signified, implies in Ricœur’s analysis that the system where they get meaning is finished and closed, and thus that “change, considered as such, is unintelligible” (Ricœur 1969, 82/1974, 81) for synchronic linguistics; a change in the system inevitably results in a new system, and then we have entered diachronic linguistics. Since all innovation, also in the minimal sense, takes place in speech, whereas its meaning can only be determined by the new system it is incorporated in, structural analysis must be supplemented by hermeneutic philosophy, in Ricœur’s view. Only in this way can the opposition between speech and language, as well as that between synchrony and diachrony, be overcome. 14Now, Saussure lectured on a work in progress and did not convey a finished doctrine. For this reason, the course notes as well as Saussure’s own manuscripts point in different directions on several issues, not least that of the relation between language system and speech (which is one of the most widely studied problems in Saussure research). Against the background of the theses of the radical arbitrariness of the sign and of the “diacriticity”21 of meaning, parole has a paradoxical status. On the one hand, it is clear that, according to Saussure, parole must be separated from langue, which is the object of study he focuses on in the course: if the language-system is constituted of signs that are determined only in contrast with one another, the individual acts of speech are, on the contrary, positive choices of a word order, or of a certain pronunciation of elements of the language-system. On the other hand, our only access to the system, deposited as a “treasure” in the minds of its speakers, is through speech, parole, and it is also at this level that language change occurs. 15This means that the demand in the 1916 edition of the Course in General Linguistics for an “absolute contrast” between the synchronic and the dia­chronic points of view on the language system (Saussure 1972, 119), does not imply, as has so often been claimed, an assumption of two distinct entities, but a separation of frame of reference, of method. Here, as so often, an editorial modification has changed the meaning of the proposal: in all the lecture notes, it is the necessity of separating the methods that is absolute, not the contrast itself (Saussure 1968, 185).22 After all, the synchronic perspective is but a momentary cross section of the river of language that “flows without stopping” (Saussure 1972, 193).23 But even then, the methods are not dis­connected: points of view can be switched and throw light upon one another. As Saussure writes, the modifications of the system “always end up in a displacement of the relation between signifier and signified”(1972, 109; italics in text), which means that the synchronic and the diachronic study of language must be linked, too. If Saussure emphasised the synchronic point of view, it was because he wanted to understand the functioning of language. To that effect, he carried out a “reversal” of the science of linguistics of his time (Normand 2000, 39): the linguist, Saussure argued, must start with what the speaker of a language can know about, the practice of language, and since the speaker is not a linguist, she does not necessarily know anything about the history of her language. Nevertheless, she is capable of speaking, it is through her and her peers that language evolve; “everybody participates [in language (langue)] at every instant, […] and it is incessantly subjected to the influence of all its speakers” (Saussure 1972, 107). 16Thus, when Merleau-Ponty rephrased Saussure’s distinction between parole and langue into one between parole parlante – speaking speech – and parole parlée – spoken speech, it was not without foundation in the text. In Saussure, he found the systematic elaboration of a tendency that, according to Merleau-Ponty, could be seen already in the later Husserl: to study language from the point of view of the speaking subject, rather than reflecting on languages as historical facts. Still, Merleau-Ponty did not lay claim to a scholarly interpretation; in his own words, he “extended” Saussure’s notion of parole (Merleau-Ponty 1968a, 34/1970, 20),24 in order to understand the creative function of language. 17As we saw, expression was always for Merleau-Ponty something more than simply repeating a received formula, or filling in new terms according to a given pattern. On the other hand, we can never express from out of nowhere. “Authentic” expression is, in his view, taking up an already constituted expression and transforming it – this is valid whether we talk about verbal language, or about “tacit” forms of expression such as painting, music or bodily gestures. But how do they get meaning? How can we understand phrasings or dictions that we never heard before – in particular if they are innovative in a stronger sense than putting words together in accordance with given rules? 18In fact, Saussure devotes a considerable effort to understanding innovation, or with his term, creation, in language, also in the 1916 version of his thought.25 For him, the most important principle of linguistic creation is what he calls the phenomenon of analogy. “An analogical form is”, he writes, “a form created in the image of another” (Saussure 1968, 365: 2460; cf. 1972, 221). In order to understand what this means we need to recall the way that the signs of the language system are organized in his view. 19Saussure maintains that signs are related according to two distinct dimensions; there are two orders of difference in language. First, they are related as syntagms: signs can only be combined in a linear way, as a string of words. The connection is, says Saussure, in praesentia (1972, 171; 1968, 282): the terms are co-present in an actual series. An example could be “enseignement des langues” (language teaching), but also “enseignement” (education or teaching) will do, since it can be seen as construed from two terms: enseignement (1972, 175; 1968, 280–281).26 Second, signs are related in an associative way, in absentia, and this along a number of different paths. A term is, as it were, the centre of a constellation, a star, with chains or groups of associations pointing in different directions (1972, 173–175; 1968, 281f.). 20 In one direction from the core “enseignement” (teaching), writes Saussure, there is an associative chain “enseigner, enseignons, etc., etc.”; in other words, the sequence of inflected forms. This chain is limited to the number of forms that can be construed around the same stem. In another direction, we have “armement, changement, etc., etc.” (arming, changing, etc. ); it is the series of terms with a suffix in common, and this one is unlimited, just as the third, where the signifiers are associated: “apprentissage, éducation, etc.” (instruction, education, etc.). The same goes for the fourth chain of associations Saussure mentions, the one between similar acoustic images: “clément, justement, etc., etc.” (lenient, precisely). These series of associations exist mentally as if “in a cloud” (Saussure 1968, 293: 2064) around the sign, in the “treasure” depo­sited in our brains. 21Now, this way of presenting the two dimensions of organisation contains a certain ambiguity: if the syntagmatic order connects the signs in praesentia, “in the chain of speech” (Saussure 1968, 281: 1998), then it seems to belong to parole rather than to langue. At the same time, I cannot put words together in any order that I want, so the combinatory freedom is restrained also on the syntagmatic level, as is shown most clearly by ready-made phrases, such as “s’il vous plaît” (“please”). Whole sentences are often such syntagms, residing in the system, so that “the individual no longer has to combine [them] himself” (Saussure 1968, 284: 2013–2016). In fact, exactly how far the complexity of the syntagm can be extended is unclear; as Saussure writes, “this notion of syntagm can be applied to unities of any size, of any kind” (1968, 283: 2007, Riedlinger’s notes; my translation)27 (cf. Arrivé 2007, 75, 113). This means that the syntagm is, as it were, situated in between the language system and speech: another paradoxical feature of Saussure’s theory. He writes: “we must recognize that where syntagms are concerned, there is no clear boundary between a fact of language [langue], token of collective usage, and a fact of speech, dependent on individual freedom” (Saussure 1972, 173; cf. 1968, 285–286: 2022). The freedom of combination that is distinctive of speech, parole, can, to some extent, be compared to the freedom of the forced card that Saussure mentions in relation to language change: for the most part, the speech act repeats a certain syntagmatic form that is already part of language. 22There is, however, a more extended freedom that can be involved in parole, which comes to the fore in the phenomenon of analogical innovation. Analogy is also one of the important forces behind language change, in addition to phonetic alteration; in Saussure’s words, it is “the general principle for creations in language [la langue]” (Saussure 1968, 374; cf. 1972, 226; ita­lics in original), and a language is, at any given time, “a vast entanglement [enchevêtrement] of analogical formations” (Saussure 2002, 161/2006, 107). Not that all creations imply language change: as we will see, only a fraction of the analogical creations occurring in speech is taken up in the language system. 23Through analogy, syntagms are created on the model of relations that can be found in language, at least “potentially” (en puissance) (Saussure 1972, 227; 1969, 378: 2526): elements from different associative series are brought together to form a new syntagm. Saussure compares what happens to the finding of the “fourth proportional”, as in the example where indécorable, “indecoratable”, is invented, on the basis of the structural similarity of the forms it is based on. 30Here, indécorable, “indecoratable”, is the result of several analogical proce­dures: it is, just as décorable, “decoratable”, perfectly comprehensible, but neither is part of the language system. They are examples of the manifold possibilities of innovation that language gives us, but that are not necessarily taken up as changes of the language itself. On the contrary: the new form that appears through analogical creation belongs first of all to speech, and only a small part of all those new formations that children, writers, or anyone who either plays with words or more or less unconsciously and perhaps mistakenly creates will finally enter into the general language, if they are repeated a sufficient number of times by other individuals (Saussure 1972, 231; 1968, 383: 2560). 31Far from being an incidental phenomenon, analogical innovation has a fundamental role in Saussure’s linguistics. In fact, as mentioned above, the discussion of analogy occurs in the first lecture course (in contrast with its position in the 1916 edition) and is even at the origin of the fundamental distinction between langue and parole (Stawarska 2015, 149).28 Analogy is internal to language in the sense that it works against phonetic change; it restores a regularity and grammaticality that was weakened by the evolution of sounds (Saussure 1972, 221; 1968, 365). Saussure calls phonetic evolution “blind” (1972, 209; 1968, 346: 2352), since it hits all forms of signs – there is no grammatical reason for the changes – and unlimited, as a consequence of the arbitrariness of the sign. Analogy on its side exploits the systematic resources of language, the regularities that are potentially there. As he puts it in Writings in General Linguistics, “No better idea of [the phenomenon of analogy] is given than by listening to the speech of a three- or four-year-old child for a few minutes” (Saussure 2002, 160/2006, 107). The child con­strues his expressions after the pattern of those it already knows, and will for example often conjugate irregular verbs as regular ones – Saussure exemplifies with “venirai” conjugated as a regular verb from the second group (e.g., choisir – choisirai; punir – punirai) instead of the correct irregular form “viendrai” (“I will come”) (2002, 160/2006, 107). 32Since the analogical creations exist potentially in the language system, attending to this phenomenon is necessary for understanding its structure. In fact, a language whose signs were all radically arbitrary in relation to one another would be no more than a motley collection of confetti attached by sheer chance to items in the world. But then we would be back with the nomenclatural view that Saussure was opposed to, “the conception of language as an inventory of names for things”.29 In order to maintain the systematicity of language, there must be some limitation upon the arbitrari­ness of the sign; in relation to one another, many signs are for that reason “relatively motivated” (Saussure 1972, 181),30 and such ties are precisely what he examines through the phenomenon of analogy. 33This notion of relative motivation does not entail anything like the “closed structure” of the structuralists. While the comparison with the pro­cedure of finding the fourth proportional brings a system of a mathematical kind to mind,31 other metaphors that Saussure uses to describe language indicate a much looser and disorderly organisation: the vast “entanglement” (enchevêtrement) mentioned supra is a case in point, another is the “swarming [fourmillement] of analogical phenomena accumulated on top of each other” (Saussure 1972, 234; 1968, 393: 2612); or language as “a dress made of patches [une robe faite de rapiéçages]” (1968, 394: 2616, boldface in original; cf. 1972, 235). The image of a “flottement”, a wavering or a vagueness in language, that calls forth analogical creation, is recurrent in the manuscripts (e.g., Saussure 1968, 392f.). The notion of the linguistic system is, after all, a theoretical assumption, a “guiding principle” (Normand 2004, 91), since we can never observe it directly. 36the idea of a kind of limping logic in which development is not guaranteed, that may involve all sorts of derailments, and where order and system are, however, reestablished by the thrust of speaking subjects who want to understand and be understood (Merleau-Ponty 1988, 85/2010, 65–66; italics in text). 37In other words, Saussure’s linguistics provides an understanding of the interconnection between chance or accident and meaning or reason that was, from early on, at issue in Merleau-Ponty’s philosophy. Meaning is here seen as furnished by the system, and analogical innovation as the creation of new linguistic forms on the basis of that system. 40Thus, the speaking subject is the “foyer” – the home or source – of language, and linguistic creation the accomplishment of individual acts of speech, that have been tried out a sufficient number of times to be taken up by the community and incorporated into the system (Saussure 1968, 376: 2522 and 383: 2560). 41At the same time, innovation is internal to language in that there is no comparison possible between a meaning given independently of linguistic expression and the signification that the speech act achieves. Merleau-Ponty struggles to accommodate this insight with the phenomenological demand to capture the true meaning of the world: “In a sense, language never has anything to do with anything but itself” (Merleau-Ponty 1969, 161/1973, 115) – our speech acts relate to other speech acts, and the “mystery” is that, “in the very moment where language is thus obsessed with itself, the outcome is, as through an excess, to open us to a signification” (1969, 162/1973, 115). 42Merleau-Ponty introduces the idea of “coherent deformation” against the background of a certain classical conception of expression in both language and art that he, following Saussure, characterises with the term “nomen­clature”: signs that are directly coordinated with determinate significations (Merleau-Ponty 1969, 45/1973, 45). In that picture, art would be representation of nature, that at the very most it might embellish, and language strive to come close to the “accurate expression assigned in advance to each thought by a language of the things themselves” (Merleau-Ponty 1969, 69/1973, 49). 43If instead we perform “a reversal of our habits” (Merleau-Ponty 1969, 37/1973, 25) so that we can see that in language, signs are first of all related to other signs, establishing their own universe of meaning rather than trying to match significations pre-given in the world, it becomes possible to understand creative expression. To aim at expression is not an effort to produce a copy of nature, but to transform those expressions that came before and thereby attain that oblique meaning that appears at the origin of our encounter with the world. 44It is here that Malraux’s analysis becomes important for Merleau-Ponty. In his writings on art, Malraux dismisses time and again the idea that art would be subordinate to nature as a representation to its original. An artist refers above all to other works of art, whose forms he modifies and transforms; his work belongs “not to the world, but to the world of art” (Malraux 2004, 531 (my transl., emphasis in text)). This world is not without relation to the natural world, but the forms of the latter have been “torn out” and intro­duced into another world that is governed by other laws (ibid., 539) – presumably, the laws of art. Future artists might come and find the inherited art-forms deceitful with respect to the world they live in, and desire to transform them, but it will still be in making use of some aspects of the world to perform “another coherent deformation” (560, 573) and achieve a metamorphosis of the world of art. 45At the same time, Malraux puts up a distance between the living meaning of nature and the forms of art, that Merleau-Ponty cannot accept. For him, the artist is above all a human being, and artistic expression a manner of encountering the world that differs perhaps in degree but not in kind from our ordinary expressive efforts. Moreover, perception itself does not simply lend forms to the world of art, but are drawn in there: new forms of expression, if they succeed, will transform the very way that we see and perceive, while Malraux sometimes “speaks as if ‘sense data’ had never varied throughout the centuries” (Merleau-Ponty 1960, 61/1993, 86). 47It is marvellous to watch the way that linguistic instinct, however diachronic events may upset things, always manages to make the most of the situation […] As with a stick thrust into an anthill, the damage will be repaired immediately; the tendency to system or order will never weary (Saussure 2002, 266–67/2006, 191). 48Obviously, Saussure was not writing a theory of literature and the absence of reflexions upon the artist’s or poet’s throes is no evidence he thought their task was easy; it is simply not the focus of his remarks on linguistics. But even so, fruitful as the analysis in terms of analogical formations may be, in particular as it clarifies the manner that new linguistic forms are created, not ex nihilo, but from the resources available in language itself, it is also somewhat limited. In particular, the destabilising force of creative expression, that is at the heart of Merleau-Ponty’s analysis, does not come to the fore in Saussure. Quite the opposite: when discussing what happens when a writer finds a new term – for example, the expression sénescence instead of vieillesse (“old age”) – Saussure is convinced that the word will have an immediate effect: “hundreds of associations and ideas the writer wished to avoid being avoided, and hundreds of associations the writer sought to evoke or suggest being evoked or suggested” (Saussure 2002, 265/2006, 190). The form “senescence” and all the associations it evokes is potentially available in the writer’s language, in Saussure’s view. Far lie the struggling and self-doubts of Cézanne. 49At the same time, the talk of a coherent deformation remains at the metaphorical level, while analogy gives a clear idea of linguistic innovation that is not necessarily tied to the algebraic presentation Saussure sometimes gives, as we saw above. The systematicity at work in language might be described in a less formal way, and Saussure alludes to such an understanding when he compares it to a patchwork. It is also questionable whether analogical creation always restores regularity – in Saussure’s own example of “senescence”, this is not clear. 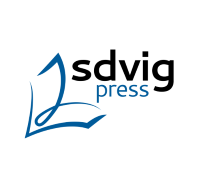 In Swedish, it happens that writers, for stylistic reasons, reintroduce an obsolete strong conjugation of weak verbs, while the latter forms are more regular (e.g., smälta–smalt–smultit instead of smälta–smälte–smält) and I sometimes hear my bilingual children invent linguistic forms in Swedish according to French patterns, just for fun. As Saussure remarks, in children, “the analogical process is more vivid and productive [fertile]” (2002 161/2006 107) – a hint that creativity is about more than restoring regularity. This is both a thought-provoking and difficult idea, that goes far beyond Saussure’s linguistics and the scope of this essay. 50In conclusion, a careful reading of Saussure and Merleau-Ponty can foster a deeper understanding of creative expression, where the philosopher’s emphasis on the risks and arduousness of creativity and the linguist’s explication of the reasons behind the systematicity of language can complement one another. But we will find no complete answers; both oeuvres were to a large extent posthumous and remain for us to creatively bring further. 1 In the following, I will give references first to original texts, then to the English translation, if available. Occasionally, translations have been altered. 2 The quotes are from the essay “Le doute de Cézanne” (“Cézanne’s Doubt”), published in French 1942. I will give references to the English translation by Michael Smith, in Galen A. Johnson, 1993. 3 As the issue of creativity was famously formulated by Chomsky in the 1960s. 4 Both in 1942 essay and in the manuscripts from the beginning of the 1950s, published posthumously as La Prose du monde (The Prose of the World), in 1969. 5 In particular in “Cézanne’s Doubt”. I have examined this theme in Foultier 2015. 6 L’Œil et l’Esprit was first published in 1961, the year of Merleau-Ponty’s death. I will give references to the English translation by Michael B. Smith, in Galen A. Johnson, 1993. 7 “Le langage indirect et les voix du silence” was elaborated from the manuscripts that posthumously became La Prose du Monde (The Prose of the World), and was published for the first time in 1952. References will be given to the English translation of the essay by Michael B. Smith, 1993, see preceding footnote. 8 Saussure mentions sign language, symbolic rituals, military signals, etc. (Saussure 1972, 33). 9 It is important to note here that the French word parole has a broader meaning than the English “speech”, it often translates as “word”, although it usually has the connotations of being uttered vocally, as in “keep one’s word” (tenir parole); it can also translate as “saying”, “lyrics” (in plural, paroles), and even refer to written text, as in “we read a few words of the Gospel” (nous lisons une parole d’Évangile). As Claudine Normand remarks, Saussure uses parole to refer to writing just as well as to speech (Normand 2000, 49). 10 Or, more precisely: There is “opposition” or contrast between the signs, that presupposes a difference between signifiers and signifieds. For a clarification of this issue, see Michel Arrivé (2007, 73). 11 Already in Phenomenology of Perception, Merleau-Ponty refers to this “famous distinction” (1945, 229/2012, 202). 13 I have discussed this issue in Foultier 2013. 14 The focus on speech explains in Ricœur’s view the “partial failure” (“demi-échec”) of Merleau-Ponty’s philosophy of language (Ricœur 1969, 244/1974, 247). 15 See, for example, Simon Bouquet (1997), Paul J. Thibault (1997), Claudine Normand (2000), Simon Bouquet (ed.) (2003), André-Jean Pétroff (2004), Carol Sanders (ed.) (2004), Michel Arrivé (2007) and Beata Stawarska (2015). 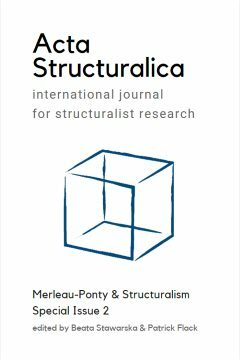 16 As a matter of course, structuralism was a multifarious movement and not that easy to demarcate – for a thorough discussion see François Dosse (1991, 1992), but for sake of simplicity I will assume certain common structuralist principles in this essay. 17 For a discussion of the edition of the manuscripts, see De Mauro’s introduction to CLG, v, Engler, “The Making of the Cours de linguistique générale”, in Sanders, 2004, esp. 55., and Stawarska (2015), 193f., who speaks of the “ghostwriting” by Bally and Sechehaye (194). 18 See Stawarska (2015) for a careful tracing of these editorial transformations. 19 See my essay from (2013) mentioned supra for details. 20 Notably the manuscript found in 1996, published in Écrits de linguistique générale (Writings in General Linguistics), 2002. 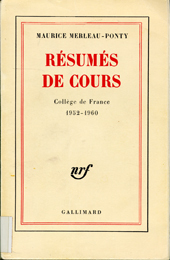 It is also important to note that the ori­ginal lecture notes, made by a few students from Saussure’s three courses on general linguistics at the University of Geneva in 1907–11, were indeed published already towards the end of the 1960s, Cours de linguistique générale, vol. I and II, ed. Rudolf Engler, 1968 and 1974, and that the 1967 edition of the Cours de linguistique générale by Tullio De Mauro (available in French in 1972) included abundant footnotes where editorial changes were traced, misrepresentations and misinterpretations clarified and rebutted.  However, these editions still follow the disposition of the 1916 edition, and not the original order of the courses. 21 The term “diacriticity” is not Saussure’s, but is frequently used by Merleau-Ponty and a good shorthand for the oppositional and differential determination of meaning. 23 Saussure illustrates the “autonomy and interdependency of synchronic and diachronic perspective” through the image of a stalk, where the former is equivalent to the horizontal section of the growing stalk, and the latter to a vertical section (Saussure 1972, 124–125; cf. 1968, 193–195). 25 Nevertheless, as Stawarska points out, the editorial organisation of the Cours de linguistique générale gives the impression that the discussion of innovation is secondary in relation to the axioms set up in the first part of the book (the distinction between synchronic and diachronic linguistics, the contrast between langue and parole, etc. ), while the manuscripts show quite the reverse: they proceeded from the discussion of analogy (Stawarska, 136, 150). 26 It is Saussure’s own example; in fact, he mostly focuses on syntagms of one word. 27 Orig. : “cette notion du syntagme peut s’appliquer à des unités de n’importe quelle grandeur, de n’importe quelle espèce” (boldface in original). 28 Cf. supra, fn. 25. 29 John Joseph, “The Linguistic Sign”, in Sanders (2004, 63). See also Saussure (1972, 97). 30 Or, “relatively arbitrary”, “relatively immotivated” – here, as at many other points, Saussure hesitates between notions, cf. 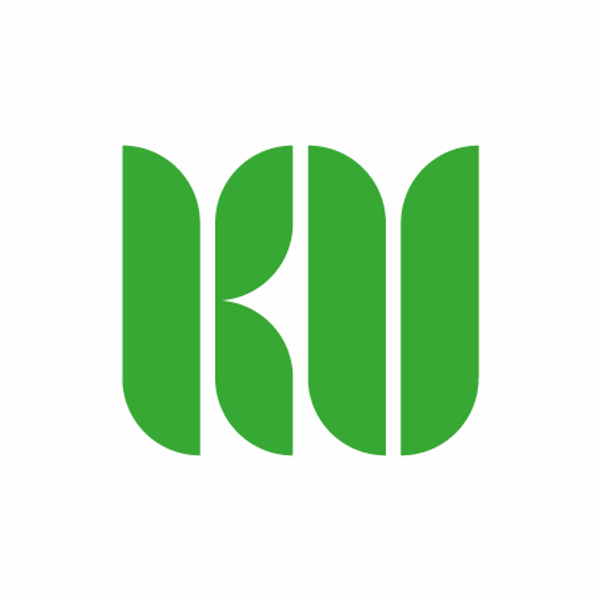 (1968, 297–298). 31 But it must be noted that this idea is based on the specific organization of modern European languages; it is not thought as a universal model of analogy. 32 Koukal (2000) calls attention to Saussure’s discussion of analogy in connection with Merleau-Ponty’s philosophy of creative expression. In spite of its merits concerning the account of Merleau-Ponty’s philosophy in this respect, the article unfortunately suffers from the similar misunderstandings of Saussure that have marked most scholarship on Merleau-Ponty’s relation to Saussure. 33 And of course, as so many others, he may have been misled by its quite subordinate position in the 1916 edition. 34 That Simon Bouquet sees as a philosophy of language, too (Bouquet 1997).